The day was as any other, that day on which a very ordinary little cup was made along with a bunch of other very ordinary little cups. And today, again, was a day the same as any other day. The cups sat in a line on the shelf, rows behind rows of identical plain little tin cups. They were not made to be pretty like the fancy little painted tea cups sitting on a similar shelf with their fa ncy little saucers. The little tin cups were made to be simple, plain, and durable. They will dent, but not shatter or crack like the fancy little fragile china cups. The bell above the door tinkled when the door opened. It might have been a merry sound, but these days there were very few with reason to feel merry. The shopkeeper watched the mother enter the store with a boy trailing at her heel like a trained puppy. She leaned her bulk on the counter, trying to ease the ache in her sore feet as she watched them. The shopkeeper was a little overweight, but her clothes and face sagged with fatigue and the weight she had recently lost. The weight loss was not the result of prudent diet and exercise. Everyone was losing weight these days, including those who hadn’t the weight to lose. The mother looked tired and worn out beyond her years; her eyes avoided making contact as she entered the store with a slight unsure pause as she did so, head lowered in deference to the world around her. Her jacket did not look warm enough for the weather. It was as worn and threadbare as the woman herself. Her cheekbones seemed a little sunken and her eyes held the furtive haunted look of a rabbit trapped within a circle of hungry wolves. She wobbled a little as she wandered along the shelves of the store, examining the goods, pausing and coming back again to the mostly empty shelves holding meager rations of food. The boy looked too small, his age impossible to define. His jacket was much too big, making the boy seem even smaller within its confines. 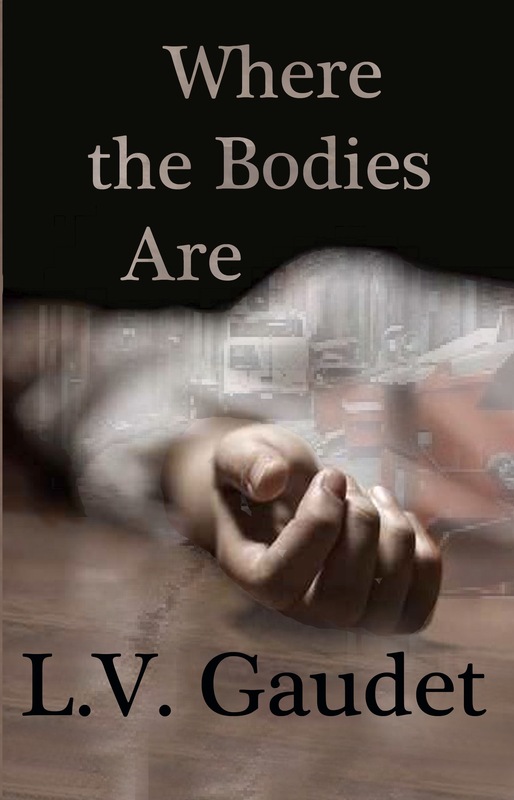 He looked too thin, scrawny sticks for legs sticking out beneath the jacket and ending in worn shoes that looked too small for his feet; the toes sticking out through holes worn through the tips of the shoes giving testament to that. The boy never looked up, just followed his mother silently, a miniature shadow, seeming almost as intangible as a shadow. In another time, an eternity ago although really little time had passed, this woman would have entered with her head held high, looking the clerk in the eye with a smile and nod. The boy would have eagerly rushed forward, seeking out the candy shelves, begging his mother to buy some. Today the candy lay sullenly overlooked as kids instead eyed loaves of bread, dented cans they normally would insolently turn their noses at, and bruised partially rotted fruit with insatiable hunger. The clerk caught the mother’s gaze, and turned her eyes away in shame, as though she’d just witnessed something very private. Her cheeks colored with what might have been embarrassment. What she saw in those eyes frightened her. Those eyes held the dark bruised look of the desperate, a mother starving herself so that her children can eat what little scraps of food she can get. The mother leaned down and whispered into the boy’s ear. What she said would soon become obvious. The boy shuffled over towards the candy shelf, eyeing the brightly colored wares with a dull disinterested look. The woman behind the counter watched the boy. Gingerly, as though handling delicate crystal, the boy picked up two candy bars and showed them to the clerk. Digging into his jacket pocket, he retrieved a small handful of coins and showed them to the lady. She shook her head, indicating the sparse coins were not enough for the candy. They went through this little dance of charades, the boy showing her his pittance of money and different candies while she solemnly mimed “no”. At last the mother approached the counter. She set on the counter a single dented can and motioned the boy to put the candy back. He gently laid the candy in its place and pocketed his change. The mother at last looked the clerk in the eyes, a shadow of the pride she once had still lingered in those haunted hollow eyes. Carefully digging money from her worn little purse as though those coins were valuable and ancient relics requiring great care, she laid out the money to pay for the can of food. As the mother turned to leave with her single can of food, the clerk leaned across the counter and deftly grabbed the boy’s jacket behind his mothers back. She slipped the coins into his hand and pointed at a candy bar with a wink, the bar filled with nuts, indicating that he should take it. She couldn’t sell the candy anyway. She had seen the mother furtively sneak a few apples into a pocket, while hungrily eyeing a loaf of bread that was too big to hide. 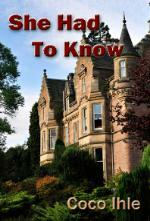 She wiped away an unshed tear as the bell over the door tinkled behind the closing door. They would repeat this little dance in exactly one week, and again exactly one week later, as they had in the weeks before. Back in their little shelter where two smaller children, a girl and a boy, huddled against the chill and waited, the mother carefully opened the dented little can. They would eat it as is, cold, shared between them. The mother would pretend to eat too, instead saving her small ration for her children. Nervously, the boy that accompanied her to the store approached his mother. He looked embarrassed, shy. Not sure if he would be in trouble or if his mother would be proud. She looked up at him expectantly. He scuffed his toe, shrugged, and finally dug deep in his pocket. The boy pulled out the candy bar, presenting it solemnly. The mother frowned at the candy bar. Candy was useless. It would not feed their starving bodies. But the nuts blanketed in that rich velvety chocolate were precious life giving little jewels. Protein. She smiled at the boy, hugged him tight. They would save this treat for later, when the children cried in the night from the hunger pains gnawing greedily at their stomachs. The boy shuffled again, looking down at his toes. The mother looked at him, a question in her eyes. At last he dug again in his pocket. Mother’s head tilted, curious, and a little worried. The boy pulled out his prize and held it out before Mother’s eyes, his eyes tearing. It was a very ordinary little tin cup. Plain and kind of ugly, but it would not shatter or crack like the pretty little fancy painted teacups. “H-happy birthday Mother,” the boy’s voice cracked out. Tears welled at Mother’s eyes and she hugged him tight. Words were not necessary; they would have only diminished the moment. Mother carefully sliced a small bruised apple, putting pieces in the little tin cup, on a large piece of what used to be a larger ceramic dinner plate, and on the table beside where she cut. She ate two small slices, giving the rest to the children. When she was done, she carefully licked the juice from the knife and the surface of the table. They could not afford to waste even those few precious drops of juice from the apple. She stepped outside to see the oldest boy carefully pulling a thin slice of apple from the little tin cup and sharing it with a starving scruffy looking little dog. It was food they desperately could not afford to lose, but she wasn’t angry. The little dog would provide them with meat, either by catching the quick little rodents that scurried about in the dark, or by eating the dog itself. Her children had to eat. Mother lay on the cold ground in an icy puddle of dirty water, her coat stained dark like blood by the dirty water. Her eyes were closed as if in sleep, her hair tousled and spread out across the dirty road. A patch of blood lay streaked and already drying across her face. The muddy tracks of the wagon’s wheels lay across Mother’s coat like the sash of a pageant winner. The children wailed and sobbed. The little dog yelped and cried as the man ran away with the squirming little creature. The little dog would feed his starving family today. The wagon that ran over Mother when the man pushed her to the ground in front of it as she fought to keep him from stealing the little dog just kept rolling on, unconcerned. 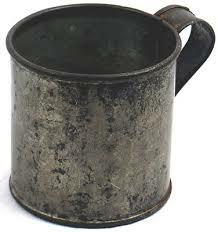 The very ordinary little tin cup lay forgotten in the mud, spattered and dirty, but not shattered or cracked. A man passing by, unconcerned by the children’s plight, noticed the little cup. He stopped and looked at it, stooped and picked it up. It was a rather plain looking little tin cup, dirty and kind of ugly, but it would not shatter or crack like the pretty little fancy painted teacups. With a shrug he shoved the little tin cup in his pocket and walked on. The wagon wheels growled ceaselessly against the rocks and dirt of the road. It was not a smooth road by any means and the wagon creaked and groaned tiredly as it was pulled along by a pair of tired horses. The driver rocked in his seat with the swaying of the wagon. On the seat beside him a rather plain looking little tin cup sat. It was empty now, but its contents had warmed the man as he sipped it while waiting for the load on the wagon to be strapped down securely. He had picked up the discarded cup from the muck of the street, wiped it off, and kept it. A durable little cup like that came in handy. The thundering of hooves began to descend on the wagon, echoing off the distance like the rumble of weak thunder. The horses ticked their heads up and pricked their ears nervously, picking up on the driver’s nervousness through the long reigns. The driver looked side to side and behind, trying to spot the advancing riders and how far they were. He snapped the reins, calling the horses to greater speed. The wagon wheels wobbled dangerously on the uneven road as the wagon picked up speed. He urged the beasts faster. The wheels wobbled harder. With whoops and yells, the thudding hooves growing closer, the riders chased down the wagon, catching up to it on their faster stolen horses. The ruts and pits of the road slowed down the wagon too much to outrun horses bearing riders only. They surrounded the wagon. One rider leaned over, trying to catch the long rein and pull back on it to slow one of the horses pulling the wagon. If you slow one, you slow them both. He reached and missed, reached again, caught it, and pulled. A sudden lurch of the wagon as its wheel caught a rut pulled him off balance, making him fall from his galloping horse. He tumbled, rolled, and the wagon wheels rolled right over him. The horse continued to pace the horses pulling the wagon in an urgent race. The other men continued to chase the wagon, the driver urging his beasts to greater speed, the wagon wheels wobbling dangerously, and the wagon jostling on the rough road, leaving the injured man laying groaning in the mud of the road behind. They could not lose the wagon. If they did not rob it their families would not eat. The little tin cup wobbled and rolled about the seat, finally rolling off and bouncing against the edge of the wagon side. It fell to the ground, bouncing and rolling, at last coming to rest in the dirt. It lay there in the mud, spattered and dirty, sporting a little dent but not shattered or cracked. Dusk was beginning to close in, drawing a pall of dimness across the world. An old man hobbled down the road, using a cane for support. His stomach had stopped hurting some time ago and now just had the empty hollowness of the starving. Something in the road caught his eye. He stopped and looked at it, stooped with difficulty and picked it up. It was a rather plain looking little tin cup, dirty and kind of ugly, but it would not shatter or crack like the pretty little fancy painted teacups. With a shrug he shoved the little tin cup in his pocket and walked on. The door to the little shack creaked open. The old woman warming herself by a tiny starving fire looked up hopeful, yet a little afraid. The old man shuffled in, closed the door behind him, and slowly peeled his coat off with arthritis stricken fingers. He walked over to the old woman, who looked up at him warmly from her chair. “Happy birthday, Mother,” his voice cracked as he leaned over to give his wife a kiss on the forehead. Carefully, he pulled out the little tin cup and presented it to her as though it were something very valuable and fine. The old woman stared at the little tin cup. It was a rather plain looking little tin cup, dirty and sporting a little dent and kind of ugly, but it would not shatter or crack like the pretty little fancy painted teacups. She smiled warmly up at the old man, hugging his arm tight. He helped her struggle out of the chair. She shuffled over to the sink, picked up a worn little tea towel, wetted it, and cleaned the little cup with careful love. When she was done, she gently set the cup upon the shelf beside some pretty little fancy painted cracked and chipped teacups. “Hurry,” the boy urged his older brother as he kept watch. The old couple would return soon. He had seen them searching the edge of the woods not far to anything edible they could find. “I’m hurrying, I’m hurrying,” the other brother spat back as he urgently ransacked the little shack, desperate to find something to eat. Searching the shelf of mismatched cups in case something lay hidden there, he accidentally knocked a pretty little fancy painted teacup off the shelf. It tumbled as if in slow motion as the two boys eyes watched the delicate little cup’s fall in horror. It shattered when it hit the floor. They stared at it mesmerized. Finally the older boy snapped out of it. “There’s no food here,” he whispered loudly to the younger boy. The younger boy looked stricken, his hand reflexively reaching for his empty belly. “Let’s get out of here,” the older boy said, looking nervously at the door. The younger boy paused, eyes glued to the little tin cup. His hand snaked out, snatched the little cup off the shelf, and shoved it into his pocket. The boys ran from the house, the old couple yelling at their retreating backs in the distance, having seen the robbers flee from their little shack. The boys ran faster, not knowing that the kind old couple had found food and wanted to share it with the two boys they knew regularly burglarized their home in a desperate search for something to eat. Two boys sat cowering against the cold stone wall, huddled in their ragged clothes for warmth they wouldn’t find. Their limbs seemed strangely long, so stick-like were their thin arms and legs. Between them sat a rather plain looking little tin cup sporting a little dent and kind of ugly. They picked this spot because this was where the people with money came to eat and drink. Their eyes locked on every passerby, following them, pleading, hollow and sunken with hunger and desperation. Later, they would move to the back of the building to fight with other children over the meager scraps from the garbage. The workers in the restaurant mostly picked out anything reasonably edible to bring home to their families before the trash made it to the back ally. A mean spirited woman passed by, not deigning to give them so much as a glance from the corner of her eye, and making it obviously so. Next came a swaggering man, waddling from his obesity and pomposity. After this shuffled a wraith of a woman, scrawny and dirty; eyes withdrawn and empty. She paused before them, not looking at them, and just stood there. At last she turned to stare down at the boys with those empty lifeless eyes. Her eyes scared them. They shrunk into themselves, wishing she would just go away. The scary woman reached into her dirty coat. 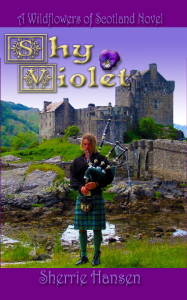 She knelt down and gently laid a single coin in the little tin cup. With a satisfied nod, she got up with a slight wobble, weak from hunger. The boys would eat today instead of her. She shuffled off down the street and vanished around a corner. The boys stared after her, eyes wide in wonder at the starving homeless woman who gave when even the wealthiest just ignored them. Later, at the garbage behind the building, the younger boy cowered against the wall, the precious coin hidden within his rags of clothes. The older boy rolled and scuffled on the ground with another boy, kicking, punching, and biting. Other children stood around, jeering and cheering. The little tin cup rolled out of the older boy’s pocket, bouncing on the ground with a dull little clang. With a rude smirk one of the spectators, an older boy with a dirty freckled face, kicked the little cup hard, sending it skittering and bouncing and rolling out into the street. It bounced off the wheel of a slow moving car. Cars were relatively new still and very few of even the rich had one. The cup was kicked by a plodding horse’s hoof as the animal pulled a wagon past. It skittered and bounced and rolled, finally coming to rest someplace out of sight. Satisfied, the older boy joined the fight, beating up the boy who lost the little tin cup. A little girl picked up something from the mud. It was so dirty and caked with mud that she had to wipe some of the thick mud off to see what it was. It was a little tin cup. It was a rather plain looking little tin cup, dirty and dented and kind of ugly, but it would not shatter or crack like the pretty little fancy painted teacups. She smiled and wiped more mud off. The little girl used the little tin cup to give water to a very thirsty little cat. The little cat purred and rubbed against her legs appreciatively before scampering off. The little girl frowned, sad, and stared at the little cup in her hands. The grateful little cat returned with a prize, dropping a freshly caught fat rat at the little girl’s feet. She set the cup down on a window ledge beside her and stared at the ugly hairy creature lying at her feet. The little cat stared up at her expectantly. The girl’s eyes lit up and she smiled at the little cat. Scooping up the dead rat she ran for home, the little cat following at her heels. Her family would eat meat today. The little tin cup sat alone and forgotten on the ledge. A man walked along, carrying a worn black doctor’s bag. He had urgent business. As he walked he pondered, hoping the family he was visiting still had some meager belongings, still had a shelter and warmth, and still had some kind of little cup or bowl to mix the medicine in a broth to feed the ill father. As he walked, something caught his eye. He paused and looked at a little tin cup sitting forgotten on a window ledge as the world shuffled on by. It was a rather plain looking little tin cup, dirty and dented and kind of ugly, but it would not shatter or crack like the pretty little fancy painted teacups. He smiled, picked up the cup, and shoved it in his pocket. He continued on his way, whistling a sad little song. “The doctor is here, the doctor is here,” a little boy came rushing in eagerly. He was little and skinny, his eyes bruised and hollow with hunger. The mother rushed to the door, closing it behind her, confronting the doctor before he could enter. She blocked the door, holding the handle so curious little hands could not open it to see what is going on. She looked frail and frightened, her eyes holding that furtive haunted look of a rabbit trapped within a circle of hungry wolves. Her eyes stared into the eyes of the doctor. What he saw in those eyes frightened him. “We can’t pay you,” she said in a quiet matter of fact voice. He nodded and stepped forward, saying not a word. Words were not needed and would only have diminished the moment. She stepped away from the door, allowing the doctor to enter. An icy rain pelted down, cutting sharply against exposed flesh. It was very dark. Some things simply did not wait for daylight these days. A frail looking mother stood silently in the rain, a little boy standing beside her, his tears lost in the streaming pellets of rain. 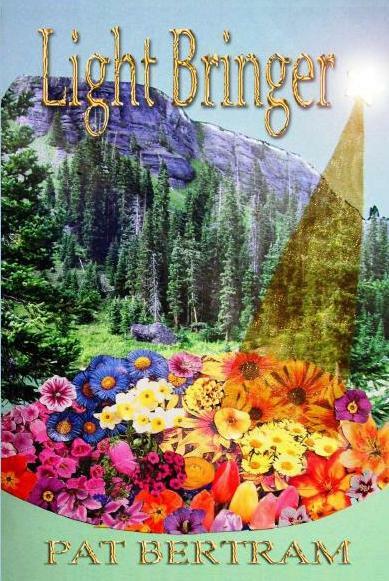 They watched the men dig, opening a dark hole in the ground, a paupers grave. Silently, the mother wished she could step forward, close her eyes, and fall into that black void with the body of her husband. She looked down at the boy by her side, her hands fidgeting in her pockets, trying to warm them. Her hand closed around an object she’d forgotten shoving into her pocket. She pulled it out and stared at it as though she’d never seen it before. It was a little tin cup, plain and dented and kind of ugly. Her eyes burned with anger and unshed tears. She hated that little cup. The mother turned, wound up her arm like a baseball pitcher, and threw the little cup as hard and as far as she could. She watched it sail through the air, tumbling, and vanishing in the darkness. The little boy’s eyes followed the rolling flight of the little tin cup solemnly, as though this simply were part of the rite of burial. The little tin cup called back its goodbye’s, a tinny echo as it clanged and rolled somewhere in the dark until it came to rest. A figure lurked in the darkness, quiet, treading carefully so as to be utterly silent. A woman waited anxiously, unaware of the man creeping up on her in the darkness. The man’s eyes fixed on the woman, watching her in anticipation as she slowly drew nearer with every cautious step he took. She did not see him, did not hear him, and did not feel his presence in that uncanny way some women have of sensing someone staring at them. The tinny little clang of the little tin cup echoed like a deafening thunderclap to the man’s ears. He froze, eyes scared. Startled the woman looked up, turned around, and screamed. It was a frightened scream. The man’s feet slapped against the ground as he fled into the dark of night. Trembling, the woman looked down and her eyes caught sight of the little tin cup. She stooped down and picked it up, turning it in her hand to look at it. It was a rather plain looking little tin cup, dirty and dented and kind of ugly, but it would not shatter or crack like the pretty little fancy painted teacups. With a shrug, she put the cup in her coat pocket. It would come in useful. She continued to wait, a little more wary now. A worn little wooden crate sat in a corner. It didn’t hold much. A few scraps of worn clothing, some fruit well on the way to rotten, a loaf of hard and molding bread, and one little tin cup. It was a rather plain looking little tin cup, dirty and dented and kind of ugly, but it would not shatter or crack like the pretty little fancy painted teacups. Stuck to the crate was a simple little note. “Orphanage,” the note read in an uneven scrawl. 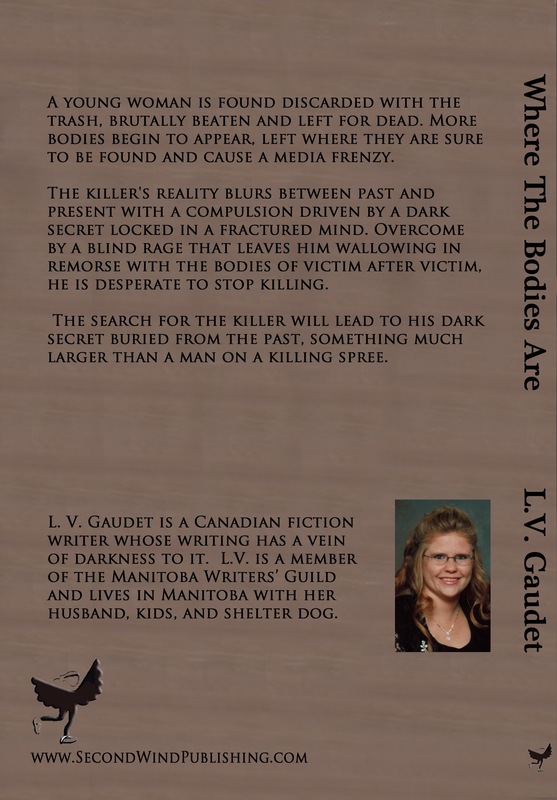 L. V. Gaudet is the author of Where the Bodies Are and the soon to come second book in the series The McAllister Farm.